​Struggling Newcastle face high-flying Bournemouth in one of six Premier League clashes this Saturday, as the Magpies look to build on their first win of the season against Watford last weekend. The long (long) trip north for Bournemouth, meanwhile, gives them the opportunity to continue their unlikely assault on the Europa League spots, and bounce back from Marcus Rashford's late sucker punch which inflicted a rare home defeat on the Cherries in their last outing. Here's everything you need to know ahead of Newcastle vs Bournemouth. ​Newcastle will be without long-term absentee Florian Lejeune, and decisions are yet to be made on Jonjo Shelvey, Jamaal Lascelles and Yoshinori Muto, who all have mild injury concerns. Ciaran Clark is expected to return to contention after missing the ​Watford match through sickness. Josh King is a doubt for ​Bournemouth, but other than that, it's expected to be as you were for the Cherries. The history of fixtures between the two sides is pretty brief, considering they've been in different divisions for the vast majority of their respective histories. They've only faced off in 10 competitive matches over the years, with five Bournemouth wins to Newcastle's three. This is due to Bournemouth edging it in recent years, recording successive Premier League victories over the Magpies at St James' Park prior to the 2-2 draw at the Vitality Stadium in February. Newcastle's last win over Bournemouth came in the first meeting between the two sides for 23 years in 2015, winning 1-0 away from home. Newcastle have been pretty dire so far this season, but will be relieved to have recorded their first win in impressive fashion against Watford last weekend. Bournemouth are in many ways the exact opposite. They've been flying, and the defeat they suffered to ​Manchester United a week ago hardly seems as if it's going to derail what is looking like a very impressive season in the making - but you never know. Here's a look at each side's last five results. It's a tough one to call. Newcastle are much better player-for-player than their results this season have suggested, and if they play to their ability, they have enough to take Bournemouth all the way - especially with the momentum of their first win behind them. The Cherries have been sparkling, but the late defeat to United will have knocked the stuffing out of them a bit. 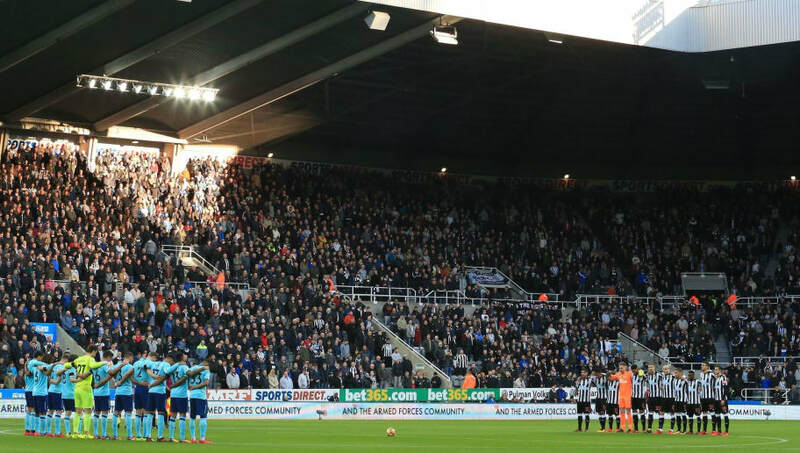 They're a very good side who should be desperate to bounce back with a win, but a hostile St James' Park is hardly the place you want to be going to do that, regardless of Newcastle's form. Time to sit firmly on the fence with this one.